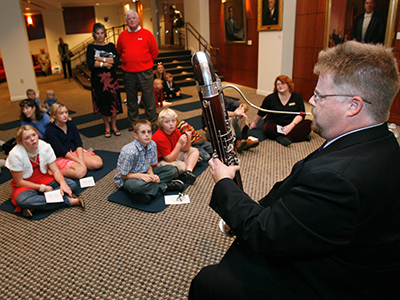 The mission of the ISO's Learning Community is to connect people with inspiring musical experiences that meet community needs. The Indianapolis Symphony Orchestra's Learning Community works directly with educators, leaders and other organizations to learn about the challenges and aspirations of our city and its people. By dedicating the time to build understanding and relationships, we are able apply the unique resource of a professional orchestra to support and improve our community with creative programs and partnerships. 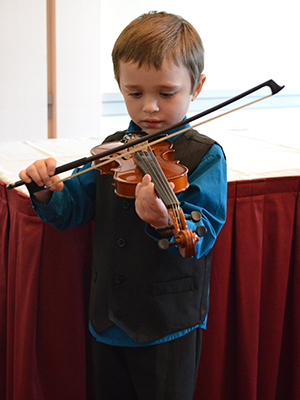 Above and beyond the hundreds of outstanding concerts performed each year by the Indianapolis Symphony Orchestra, the ISO Learning Community delivers a wide variety of programs that serve the community reaching 80,000+ people per year. Want to know what we’re up to? Follow us on Instagram! You can also follow one of our primary programs, the Metropolitan Youth Orchestra, on Facebook, Twitter, and Instagram. looking for the garden symphony book? The Metropolitan Youth Orchestra (MYO) is a youth and family development program of the Indianapolis Symphony Orchestra. The program is designed to use the life skills learned in music instruction to engage youth in activities that discourage at-risk behaviors and keep them committed to staying in school.